Slowly brown onions in a sauté pan with butter over medium heat, stirring occasionally, for 15-20 minutes or until caramelized. Let cool. 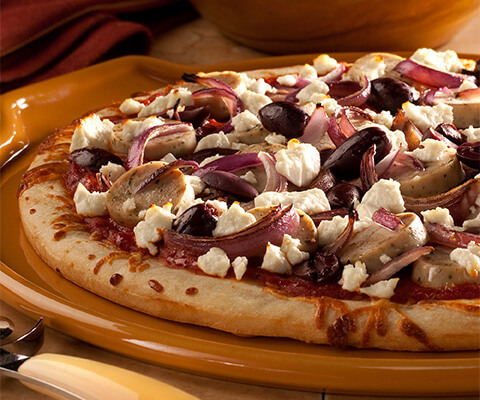 Spread sauce evenly on pizza crust, then top with goat cheese, chicken sausage, caramelized onions and olives. Place pizza in oven and bake for 10-12 minutes.